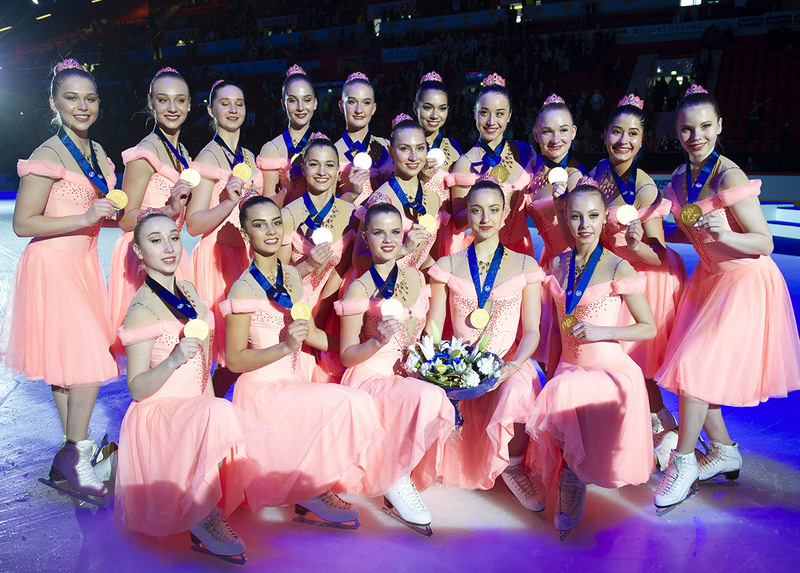 The 2017 World Champions Team Paradise, Helsinki Rockettes, and Team Unique are the senior current medallists in Rouen after the short programs on Friday evening. In the junior division, Russia and two American teams are leading. 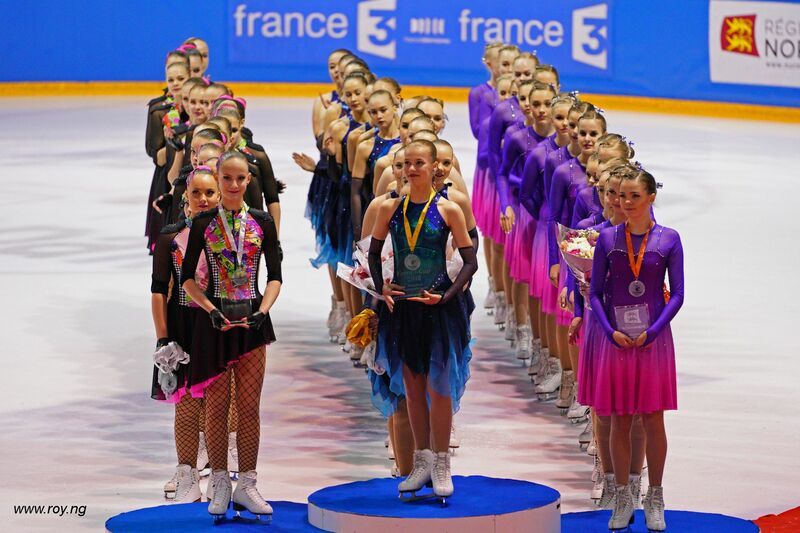 Paradise from Russia leads the senior competition in French cup with 76.42points. The team has been very strong during the whole season but now the competing teams are reaching it when Helsinki Rockettes (FIN) is only one point behind with scores 75.42. The programmes of the teams are very different: when Paradise relies on their smooth skating, great speed and feminine gestures Helsinki Rockettes expresses strongly and confidently their music and tiger theme. The third is Team Unique (FIN). They earned 73.44 points and skated their ambient short program with very good emotion. Marigold Ice Unity (FIN) is very close on the fourth place. Their nationalistic short program pleased the panel too and they got 73.06 points. Nexxice from Canada in on the fifth place having 70.12 points. Because all the five top teams are so even it is impossible to predict tomorrow's final results and placements. In the Junior short competition, the leader is Team Junost from Russia. They skated a skillful and fast program and earned 66.66 points despite a fall in pivoting block. 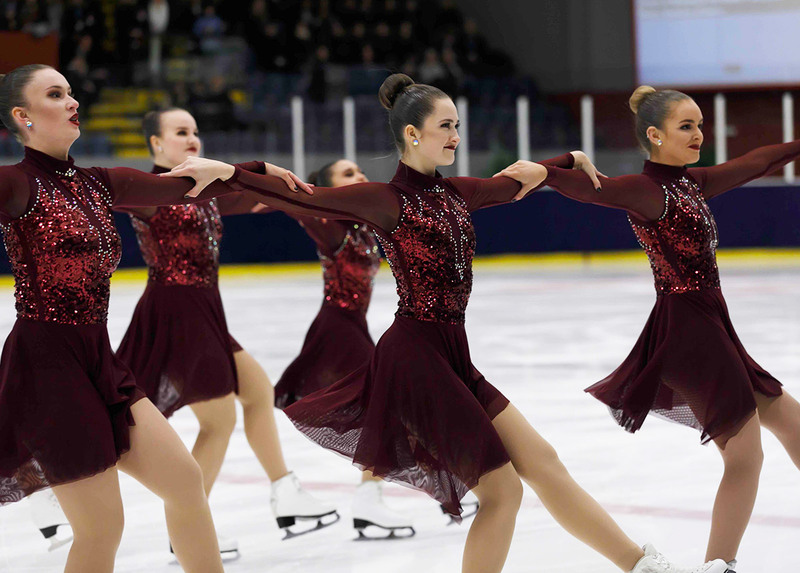 Two teams from the USA are after them: Skyliners opened the competition and charmed the audience and the panel skating a flawless and confident short program and got 63.38 points. The third is Lexettes with 60.94 points and in the fourth place is the new Finnish rising team Dream Edges with scores 56.96. 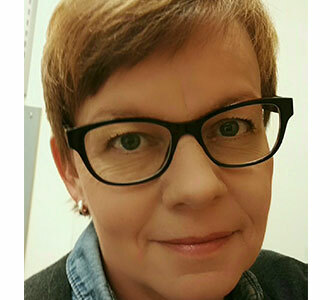 The Novice competition was between three Finnish teams. The clear winner was Team Dynamique, having 61.67 points, the silver medalist was Finettes with scores 53.83 and Blue Arrows got the bronze medal and 51.80 points.